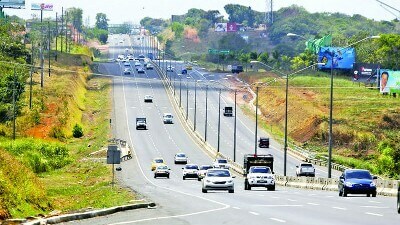 Work on line 2 of Panama City’s Metro will create some detours on the Pan-American highway starting Tuesday, July 25th, the closures are expected to last for the next month. The assembly of the "U" beams of the section from the future Altos de Tocumen station to the December 24th station of line 2 will create several detours and lane inversions on the highway lasting until August 25th, 2017. We expect these detours will increase traffic, so if you are planning on traveling to or from the city expect it to take longer throughout the month of August.